The other day I forgot my make up bag. I was on my way to a meeting when I realised. None of my emergency stashes were to hand – car glove box, office desk drawer, gym bag. I was barefaced and pissed off. I needed an intervention. Emergencies like these can be a good opportunity to do a little light exploration outside your usual safety net, but when you’re pressed for time and money, you need to know what you’re buying. I knew there was a loo at the meeting place where I could quickly apply whatever I bought, so I had to leave time for that. And I didn’t want to spend more than about £30 – roughly the cost of a department store foundation. I headed straight to Superdrug. I do like Superdrug. It’s a bit livelier than Boots and has an aggressive promotion strategy that makes it very good value. The downside is that it is rather more chaotic than Boots: the testers are never where they should be – very annoying when you’re in a rush; they go so heavy on the security tape on some things you need semtex to get into them; or they leave them virtually unwrapped so you end up with cosmetics that look like they’ve been licked. An easy to apply foundation. I may not be rich in houses, savings or cash, but I am Queen Midas when it comes to foundation makeup. Over the last few years I have invested in every format, brand, liquid and shade. 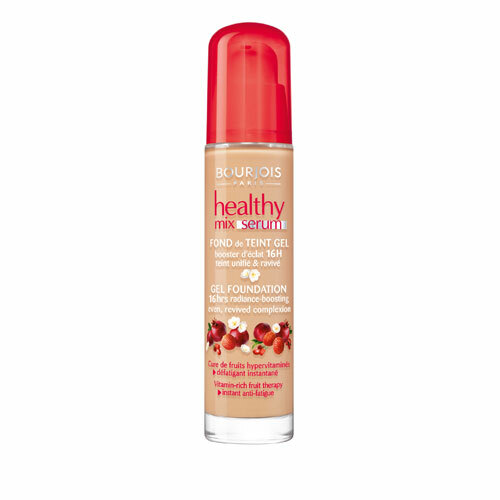 A while ago I heard internet noise about Bourjois Healthy Mix Serum Foundation, so I headed for that to give it a try. By an astonishing feat of magic, I found a tester so I chose number 52 Vanilla – a pretty good match for me. This foundation has been something of a delight: it lasts well; it gives good cover but doesn’t look cakey; it blends in well on my combination skin; it has a nice glow without making me look like I’m having a hot flush. I now wear it all the time. 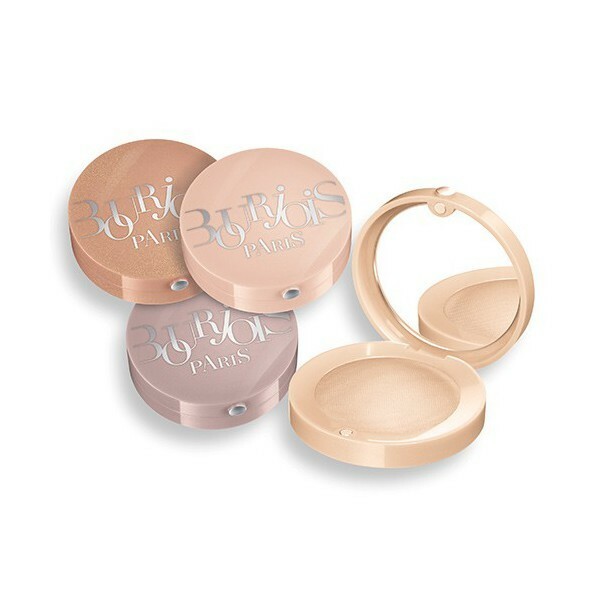 I like Bourjois eye shadows, but I hadn’t tried these cream to powder pots. A neutral eye shadow with a wee bit of sparkle to it can be very flattering around tired eyes, so I bought “Originale”, a pinky beige (£6.99) which glides on even with a hasty finger. Unlike lots of shimmery eye make up, it doesn’t spend all day trying to reach your feet. Even though it has that hint of sparkle, this stuff stays put. In the general way of things I always wear eye liner, usually pencil but increasingly Smashbox 3 D liner which sharpens itself rather cleverly as you use it. But that was sitting at home and I didn’t even have a Pentel to hand. I couldn’t face buying yet another Rimmel kohl pencil (£2.99), as I have more of them than I have relatives. Instead I decided to go without. That, for me, calls for a killer mascara. 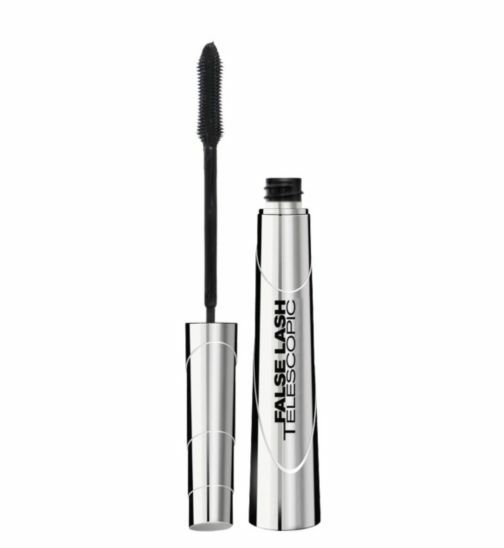 A favourite of mine I’ve mentioned before (so skip this if you’ve heard me banging on about it already) is L’Oreal False Lash Telescopic in Magnetic Black (£10.99). It gives you extra long, defined lashes. It also lasts for ages – I have one in the car which has been on the go for three years. When I throw it out I’ll probably have to find an MI5 facility that deals with hazardous waste. 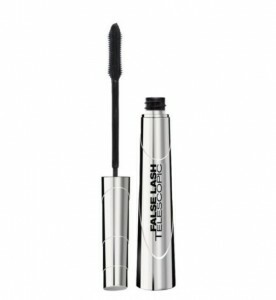 This won’t give you fluffy thick lashes, but if you want long, spiky lashes, you can’t go wrong. Since this is an emergency and I’m going low maintenance I didn’t want a heavy duty lipstick. 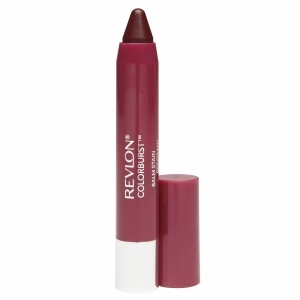 Instead I headed to Revlon for their Colorburst Balm Stain pencils. (I like no 5, Crush) . A dot of this on my cheeks works well as a makeshift blusher. It comes in at around £7.99. I also like tinted lip balm. This is one of my favourites: Maybelline Baby Lips (£2.99). This colour is Grape Vine which looks dark but is very subtle on. However it seems to be out of stock. Never mind there are some other sweet colours – and even fluoro should that float your boat. Again, if necessary it will do double duty as a blusher. 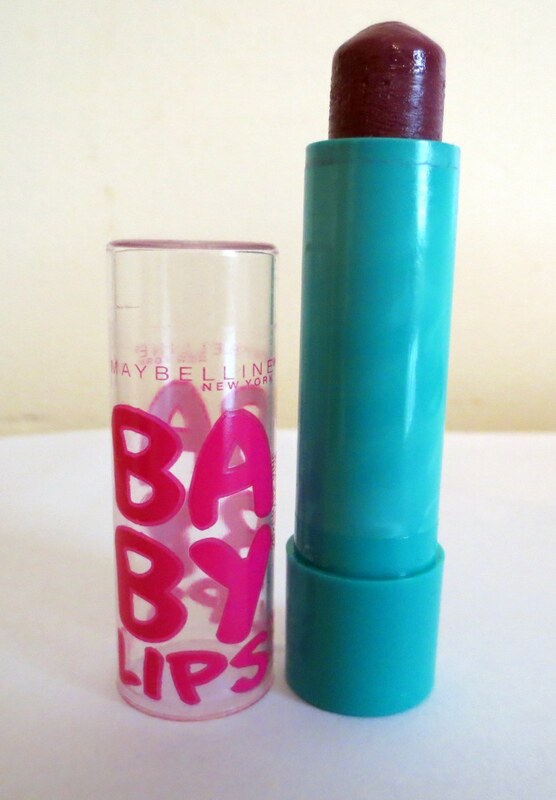 However, Maybelline are ahead of me here. They have just introduced Balm’n’Blush (£4.99). Is it the same stuff in there? I expect so, but it is in an easy format to use, should you need something fast. 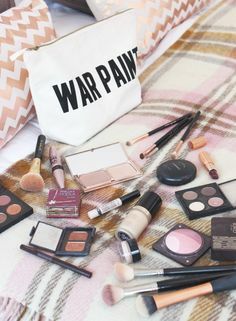 If you have more time and you’ve forgotten to apply the slap, or if you’re feeling rash and flush, then head to a department store and get an emergency makeover from the counter staff at Bobby Brown, Mac, Laura Mercier, Nars – whichever takes your fancy. Most have now cottoned on that people are prepared to get a free makeover and walk off afterwards with nothing more than a cotton wool bud. So they charge for the makeover but take the price off any purchases. These are surprisingly pleasant experiences, with counter staff delighted to show off their skills and make you look yummy. Of course they will try hard to sell you every product they use in your beautification, but be strong – they will be happy if you come away with something. A bit of an aside, but if you feel you’re stuck in a make up rut, may I recommend you take this to the next level. The makeup lesson I had at Mac 10 years ago, was transformative. I suddenly understood how to blend eyeshadow and understood the point of all those brushes. Worth every penny, although it did open up a world to me beyond Rimmel denim blue eye pencil and No 17 mascara which has proved pricy. In absolute extremis there is an even cheaper and quicker option: the tester route. This takes considerable chutzpah and a big branch of Boots, a department store or a Sephora if you can find one. Hands up, this is not super hygienic, so swallow up those qualms. But we’re talking emergency here. Essentially, you wander insouciantly around the make up aisles, looking at (and surreptitiously daubing yourself with) all the make up you can. 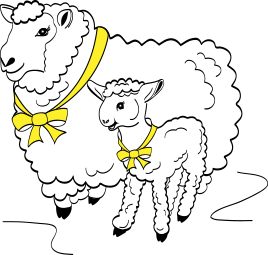 One of the great things about being in one’s Mutton phase of life is that people seldom question you if you assume an air of slightly distracted authority (I like to channel Mary Beard). It’s hard, I’ll admit, to get a face full of foundation this way, but you can cover up the worst bits: “Needs must when the devil drives”.